Achill Island GreenWay starts from the lively town of Westport and takes cyclists along the fantastic Great Western Greenway and the magnificent Spanish Coast road to Achill Island. After a tour of Achill, you will cycle back to Westport taking to the Greenway once more. 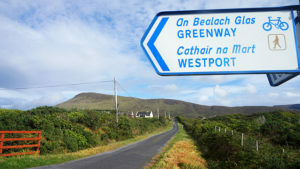 The Great Western Greenway follows a former railway line from Westport to Achill Sound and is the longest traffic free off-road cycling trail in Ireland. 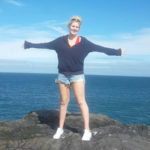 This is a fantastic start to your Wild Atlantic Way cycling tour, not too strenuous or taxing for anyone of moderate fitness, just a nice relaxing days cycle. 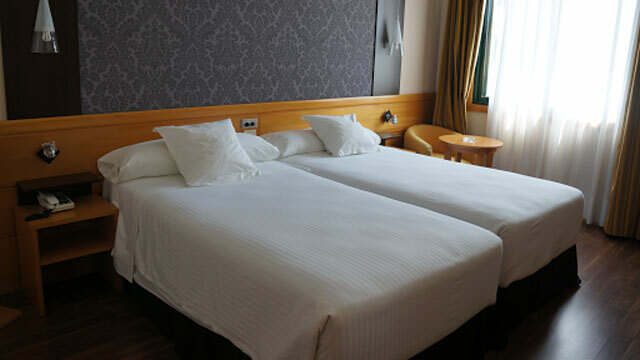 Along the way you will pass the town of Newport with its famous seven-arched viaduct over the Black Oak river; Mulranny and its stunning strand, before taking in the superb views of the Atlantic Drive on your way to Achill Island. Views of Clew Bay with Croagh Patrick in the distance, the ocean and the surrounding blanket bog are simply breath-taking. The Great Western Greenway has won several awards including European Destination of Excellence, an award for the community spirit of the Greenway land owners for allowing their land to be used and developed and an Irish Community and Council Award (LAMA). As you cross the bridge in Achill Sound you will be entering Achill Island, a region of fascinating history and spectacular landscapes. 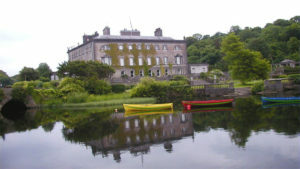 The pirate queen Grace O’Malley (Granuaile) held control of various fortresses and houses along these shores and you will encounter one of her forts along the way. 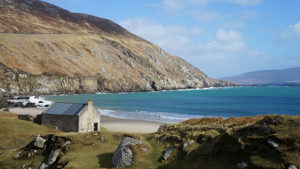 Keem Bay, at the edge of Achill, is home to one of the most idyllic beaches in Ireland. 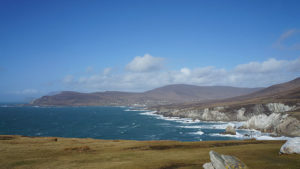 From Mulranny you will follow the Wild Atlantic Way along the ‘Spanish Coast’ road to Achill Sound, one of the most stunning coastal roads in the country and is perfect for cycling. *You will return to Mulranny on Day 5 via the Great Western Greenway. Leaving Achill Sound this morning you will cycle on quiet rural roads with breath-taking coastal views, as you follow the southern coast around Knockmore Mountain (340m), before travelling inland to the village of Cashel. You will continuing cycling the Wild Atlantic Way on regional roads through Keel and Dooagh on your way to Keem Bay, an absolute must-see in Achill Island. From Keem you will cycle back to your accommodation for the evening in Keel. Picturesque Keem Bay is home to one of the most beautiful beaches in the country, Keem Beach, nestled in the valley between the cliffs of Benmore and Croaghaun mountain. Mid-way between Keel and Dooagh you will encounter a modern Stonehenge-like structure, built over a weekend amidst much controversy by a local property developer. It is over 4 meters high and 100 meters in circumference. It consists of a circle of 30 concrete columns topped by a ring of stone. Today, you will start cycling back to Westport. You will leave Keel across Achill Island taking the Slievemore road. Along a one mile stretch of the Slievemore road you will find a deserted village, consisting of 80 – 100 stone cottages on the southern slopes of Slievemore Mountain (640m). Local field systems and site remnants give us an insight to life on Achill in days gone by. From the deserted village you will cycle along quiet rural roads to the Northern coast of the island, through the Doogart East Bog (a protected natural area), back to Achill Sound. Crossing the bridge back to the mainland you will follow the signs to join the Greenway back to Mulranny (if you followed the Spanish Coast Road scenic route on your way to Achill). On your last day cycling the Wild Atlantic Way, you will cycle from Mulranny back to Westport along the Great Western Greenway. The disused Achill to Westport railway line has been redeveloped to become one of the longest off-road cycle/walking trails in Ireland. Before you leave Mulranny, take the chance to go for a stroll in the magnificent beach, if you can. 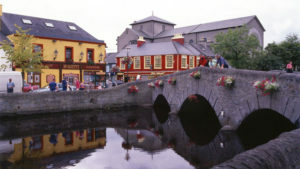 Back in Westport, make sure you enjoy a traditional Irish evening out, stopping off at Matt Molloy’s bar, world famous for Irish music: Craic agus Ceol (fun and music in Irish).